Thank you beyond measure for all for these beautiful words and stories about Dad. His life sparkled with the genius of being in a perfect job. It also sparkled because of you — your friendship, your joy, your courage, and your journeys. As a young man, he came to Wake Forest, and it was grace that he was able to stay for a lifetime. It was a blessing for me and so many others to grow up in this community. If you want more Christman stories, you can visit http://www.edchristman.com This is a biographical site that I wrote as an unexpected result of of archiving his papers for the library. I found that so much of the “best stuff” was not in writing but in memory, and created the site as a way to collect and share what we all remember. To Dean Webster, thanks for the note about first grade. It was a very good year! Christmas my sophomore year at WFU my brother committed suicide and it was on the front pages of papers in DC. Someone kindly notified Chaplain Christman – and I received an incredibly kind, loving and gracious phone call from him the day after. As a 20 year old young man very young in my Christian faith, it impacted me deeply as a “hands on” example of Christ’s love through this dear man. He checked on me on my return to college, and his quiet communication to my professors that spring carried me through the early decision process to be accepted into medical school even while struggling with a declining academic performance due to my grief. To paraphrase Ed – the older I get – the more I realize God’s grace. Praise be to God for his life and love for so many! Dearest Jean and family…You have my deepest sympathy for the loss of your husband. Dr. Ed was such an inspiration to me. I met Dr. Ed in 1988 when I first started working at The University Bookstore. He would come in mornings or through the day to get a cup of Star Bucks coffee and relax in front of fireplace and we would talk about my day. he always had kind words to say to lift my spirits. He always knew when to show up and I thanked God for him being in my life. He will be missed deeply. He was there for me when I retired in 2006. I got the chance to introduce him to my family and to let them know what a kind hearted man he was to me and everyone he came in contact with. He was truly a wonderful friend. you are in my Prayers and thoughts…………. Louise R. Davidson and Willie I Davidson Sr.
“Hello, Ace!” I loved Ed’s exuberant greeting. He had an exuberance for life and for faith that was contagious, and I am glad that I caught it. I think it will be with me for the rest of my life. In many ways Wake Forest formed me for the life and ministry that were ahead. I came from a small conservative church and a pretty protected environment. Wake Forest helped to broaden my outlook and deepen my faith. Ed Christman along with Ed Wilson and Claude Roebuck were part of the mind and heart of the Wake Forest that breathed new life into me. I came to know Ed well in 1957 when I served as BSU president. We worked closely on events such as the pre-school retreat, supper forums and Religious Emphasis Week. He was my mentor then, but in the fifty-seven years since then he was my close friend. I liked the way he greeted some of us with the “Hello, Ace.” But we all knew that he was the real Ace. Ed was a friend and pastor to all who came to Wake Forest. My memories include walks and talks on the beach on the coast of North Carolina, seeing him greet people who knew him from all over this region, the fudge he brought to my staff during busy flu seasons at the Student Health Service, his fun stories about campus life at Wake Forest, his words of love and grace during times of tragedy and loss, his portrayal of God in the campus outdoor passion play (in the late 90’s), his ability to make everyone feel he was their friend. Wake Forest is a better place because of Ed Christman! Few people have taught me so much about love and acceptance. A beautiful soul, an amazing man, and most importantly, someone who made me feel at home and made me feel real when I thought I was lost. I was so fortunate to know him. Rest in peace, Chaplain Christman. “And some students summoned their courage and went forth and shared their talents with the world while others hoarded them in fear.” Chaplain Christman, freshman orientation 1988, Wait Chapel. Words I have treasured and returned to over the years in times of self doubt. Chaplain Christman was an extraordinary man whose indomitable spirit and words of wisdom gave peace to many souls, including mine. I met Chaplain Ed at the preschool retreat in ’62 and each retreat thereafter for 4 years. His quiet Christ like demeanor in befriending a confused and bewilderd student like myself was never forgotten. In each WF magazine I would look to follow the accomplishment of Mr. Dr. Preacher Pastor Ed. Well done brother Ed. How fortunate I have been to know and love Ed Christman (my sister-in-law’s father) and to be able to attend his memorial service was indeed an honor. To hear great men and women of God remember Ed in such an eloquent way was a treasure. I heard a lot of stories and how much of an impact Ed had on Wake Forest University. I hope someday a book will be written that captures these stories and memories. Much Love to Kim and Stan, Carolyn and Ron and their son, and especially Jean who has not only been Ed’s spouse but his partner in all he accomplished. I was called to Rev. Christman’s office during the Fall of 1995 to be given the privilege of being the candle that spread light to everyone else during the Lovefeast that year. To this day, I have no idea why I was given that assignment. My surprise was that he knew who I was and called me by name. In the short conversation that we had that day, he looked not just directly at me but into me as well, seeing my soul and potential. He knew me. The challenge he made to me and the commission he gave, I have not yet accomplished but to achieve daily. When I see the candle on my bookshelf, I am reminded of it. Rev. Christman was a special person and we all are blessed. As a music major in the 70s, I was Ed’s office a lot. 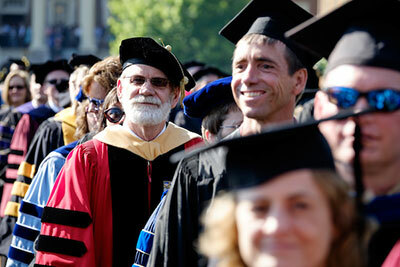 I was also fortunate to be on the faculty for 12 years, and I spent more hours than I probably should talking with Ed. He served as pastor for my wife and me during the months leading to our wedding and officiated at the ceremony in Wilkes County. He was a constant inspiration to me as to what one person can mean to a host of others. Most of all, he was my friend. He knew my name; he knew my name. And what a treat it was to hear him call it across the quad. Ed Christman made me feel loved and treasured. Ed Christman epitomized Pro Humanitate, and enriched the lives of all Deacons. I, like many people, met Ed at the WFU freshman retreat. He had so much energy, gave so much – from the camp to the coffee house. I remember the way he would walk close to your face when he met you, but then say something like, I don’t care what you look like because I can’t see you very well anyway. And so by stripping away the facade, he made you feel that he could see you better than anyone else because he sensed so much. He was a true and treasured person. Ed has been such a memorable and positive part of my life that I was just talking about him this Christmas Eve, shortly before hearing the sad news. My husband John and I were telling our guests stories of the first Wake Forest Passion Play, and the amazing chaplain who played Noah and Lazarus and even went to cast parties with us (including the one visited by the police). Wake Forest has lost one of its brightest, warmest lights…but Ed’s spirit will shine in the WFU Lovefeast candles as long as that beautiful tradition he helped foster endures. To say Ed will be missed is an understatement, as he was a man of God of enormous stature. Spanning generations and both campuses, it is hard to imagine anyone who has left a more indelible mark upon our community, and it’s equally difficult to imagine a person to whom Wake meant more. Humble of heart yet with the courage of a lion, he was a treasure to all of us. Jean, we love you, and you and your daughters will be in our prayers. Chaplain Emeritus Christman was a living example of Pro Humanitate at it’s best. Other than my parents, I cannot think of anyone who has had a more positive impact on my life than Ed Christman. Ed was the perfect mentor to students who want to take their Christian commitment seriously, and yet want to maintain intellectual honesty. He was not sanctimonious or self-righteous. He was not an in-your-face enforcer of doctrinal correctness. Although he was full of humor and always had a sparkle in his eyes, he had a basic sense of warmth and concern for students that made students love him and value his counsel and his companionship. He was courageous in his support of the ethical principles that are found in the teachings of Jesus – even when some of the ethical stands he made were not popular at the time. Ed was a friend and a good man, and I will miss him terribly. I send my prayers and good wishes to Jean and the rest of his family. Ed Christman was an insightful, compassionate and humorous man. Whenever we had the chance to talk he always offered words of wisdom coupled with a funny anecdote. He sought me out after a home game against Carolina to compliment me on my handling of some unruly fans. “You must have been feeling the spirit of the upcoming MLK holiday” he said. “It’s hard to be nonviolent when it comes to the Tarheels”. When I brought my niece to campus for a visit he took time to meet and speak with her at length. It was another fond memory. He leaves a wonderful legacy of spirituality, wit, wisdom and love. Dearest memories. Sweetest smile. Such a mind. Largest of hearts – forever in mine. May GOD bless you Jean. You friend in Cherokee. I had the pleasure of working with Ed on several projects during my early days at Wake Forest. He made it so much fun. In a word-his spirit was incredible, positive and encouraging to everyone. Ed’s spirit will be missed and treasured by those who knew him. IT WAS SO COMFORTING TO TALK TO ED CHRISTMAN WHEN A LOT OF ASIANS WERE EXPELLED FROM UGANDA.IT WAS A TIME OF FEELING LOST AND LIVING IN A VACUUM WITH UNITED KINGDOM AS A NEW HOME.HIS ADVISE WAS TO HAVE FAITH IN GOD AND THINGS WOULD TURN OUT FINE.DEAN ROBERT DYER WAS ALWAYS VERY HELPFUL.I HAVE ALSO HAD GOOD EXPERIENCES WITH ED CHRISTMAN AT CAMP HANES.HE WILL NEVER BE FORGOTTEN AND RUSSIAN TEA AND MORAVIAN CAKE WILL ALSO BE NEVER FORGOTTEN.SOMEONE HAS SAID”PEOPLE WILL NOT ALWAYS REMEMBER WHAT YOU SAID.PEOPLE WILL NOT ALWAYS REMEMBER WHAT YOU DID.BUT PEOPLE WILL ALWAYS REMEMBER HOW YOU MADE THEM FEEL”THAT WAS ED CHRISTMAN WHO MADE ME FEEL AT HOME AT WAKE FOREST.HE WILL ALWAYS BE MISSED.GOD BLESS. Justice. Mercy. Humility. Ed Christman did what was required of him, and we are all the better for it. Upon arriving on campus in the fall of 1956 Ed Christman was one of the fondest and most helpful persons that I remember. He was always there and available to help any new student that needed him. He was one person that you could not forget because he helped in every way as a true friend. He was and always will be a true friend. He is perhaps the fondest memory of my time at Wake Forest. His tremendous influence on my life is still magnificent after 58 years. Thanks Ed for your part in my life. It has been great and will continue to be until I see you in Heaven. Ed will be reverently missed. My thoughts of him are as sharp as the days I knew him while an undergraduate in the early 70s at Wake. First comes the winning smile that heralded the warmth and sincerity of his friendships with the many who had the good fortune to know him. Next, and of great importance to me, was the willingness to help students work their way through trying times–however difficult. He was there for me as I know he was for so many others; and, as always, my thanks to you, Ed! To Jean and all of the Christmans, our warm thoughts are with you. Heaven has welcomed a giant! I was a benefactor of many of those conversations with Ed. I can think of no other individual who had more impact on my years at Wake and the on the direction of my future plans. He was a gift of God’s grace to me. I first met Dr. Christman during freshman orientation. He was my faculty advisor and a friend. I remember fondly going to his and Jean’s home that first week and them making us old fashioned banana splits. He was always there with words of wisdom and encouragement. 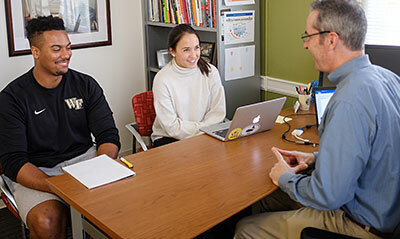 He made sure I was able to stay at WFU as helped me get financial assistance when I was sure that I would not be able to keep up with the increasing tuition costs during my 4 years. He was a great Godly man and I am sure that our loss here is truly Heaven’s gain. God has called home one of his truly special and beautiful creations. Jean and family you are in my prayers. May God comfort you in the coming days with His Holy Spirit. Ever since I have known Ed on the old campus, I cannot recall a word from him suggesting to go to church though I have a lot of fond memories of his wit and wisdom on all sorts of subjects, ranging from world peace to eating water-melon. Yet he remains as an embodiment of the best qualities of Wake Forest, and a shining fellow living up to his name, Christman. Though my wife and I are physically unable to take part in the memorial service at Wait Chapel, where we had a quiet and very enjoyable talk in 2005, the year of 50th class reunion, we will certainly join and share the feelings and prayers of those fortunate enough to attend the service. I’ll be telling Ed tomorrow that a mustard seed sown in me by him is growing, though slowly and feebly than wished, in Japan. I grew up as a Wake faculty member’s child, and Ed Christman is a key part of my past. He did seem to be a John the Baptist-type figure at Wake and in other contexts. I think that his family and mine were friends. Both had periods of residence at the faculty apartments, and our season tickets were near each other, at the Wake basketball games at Memorial Coliseum. Ed was a pretty big/vocal fan (as was his wife, Jean). His daughter, Carolyn, was my age; we were both in Mrs. Shores’ first-grade class at Speas Elementary. As a first grader, I had declared (erroneously, as it turned out) that I was going to marry her. I think I had already known her from kindergarten and Wake Forest Baptist Church, where her family was active. I recall going to a birthday party at her residence, then at the faculty apartments; this was maybe the mid-1960’s – it may have been the first time I’d ever encountered a piñata (or was the piñata at the Duforts’ ? ); my memory is that Ed told a good story at that gathering. My fondest memory of Ed was when he sat with me one day in the Pit as we discussed my future goals and aspirations. At the time and ever since that day I have been gratified by his true sense of concern for me and my future. This was not a man who was “doing a job”, this was a man of God truly ministering to one of his brothers. We are truly blessed to have had Ed Christman as our teacher, brother, and friend. I remember sitting in freshman ethics class taught by Ed Christman in 1967. His was the only course I ever took about the morality of actions and how to define ethics for yourself. I am glad I met and studied with him and am glad to know he was a part of Wake Forest all these years. He was a singular individual and I am grateful to have known him at Wake. Dear Jean and all who love Wake Forest, in all the time I have been at the University the times I have shared with Ed Christman were the best, and he is the best example of ‘humanitas’ that I can cite. He made us more fully human every time we let him into our life and work and worship of God. I rejoice that he has entered into the presence of the other saints. As a freshman at Wake Forest on the new campus in 1957, I was a young 3 letter athlete from a Winston-Salem school. However I had misgivings of college as the first of my family to go. Too, I wondered about the strength of my faith and academic ability. I made an appointment with Ed. At the meeting I discussed my misgivings and apprehension about my faith, my life to date, and ask how to better my life through Wake. His insights have stayed with me. He was a man of faith, intellectual honesty, and one who gave his all to we students. He lightened ones load of worry. He taught that one can let go and let God. His wisdom was always delivered with gentleness and caring in my 4 years at Wake Forest. I last talked with him at our 50th Reunion and at the Lambda Chi house. Rest in Peace, Ed, and the Lord be with your family. Junior year, I was allowed to drive back to school alone for the first time, from Massachusetts to Wake Forest. I was volunteering for the annual Pre-School conference run by Campus Ministry. Excited to be back on campus in the days before cell phones, I neglected to call my parents to let them know I had arrived safely in Winston-Salem. I saw Ed a few hours later, and in his unvarnished yet encouraging way, he explained that as much as my parents had done to help me get to college, I owed them much more than a phone call, and that given they were only asking for the latter, I should call and apologize, which I did. It was hard to apologize to my Dad on the phone, because he was too busy raving about his call from Ed: “My son messes up the one instruction I gave him pulling out of the driveway, and this guy not only tracks you down and finds out that you’re safe, but he volunteers to deliver the speech I would have given you in my absence? Talk about customer service! I told him it would make my day for him to get on your case! This guy is my kind of Chaplain.” Ed and my father were still laughing about this eight years later when Ed helped officiate at my and Emily Brewer’s (’98) wedding. This was Ed- solving problems, building character, strengthening relationships, and making us all laugh in the process. Brother Ed, we will miss you dearly. Our hearts go out to Jean and the entire Christman family. I would say that I was a nobody on the campus of Wake Forest for most of my time there. There really was no reason for Ed Christman to remember my name, but he did, despite having learned thousands (tens of thousands, hundreds of thousands?!) of students’ names over the years. It boggled the mind to think about how a person could develop such a memory, but as with all things in his life, he surely had help from above. He had a knack for truly listening when you spoke to him, even when exchanging pleasantries. He really expected a thoughtful answer to the question “How are you today?” because he cared about every single person that set foot on the grounds of Wake Forest. I count myself fortunate to have known Ed Christman personally. In him we have seen a model of God’s love. It was a pleasure to know Ed Christman and his wife Jean. He was a wise, and kind man, easy to talk to. The angels in heaven are rejoicing and laughing (at his wisecracks) as Ed enters through the gates of heaven. He will be sorely missed. His legend lives on in each and every spirit he encountered along his long life’s journey. He invited me and my family to attend the Love Feast at Wait Chapel. It is because of Chaplain Ed Christman and the lovely service, the WFU Love Feast has become a tradition we look forward to every year, that marks the beginning of our Christmas Holiday season (in honor of Ed Christman and his wife Jean). May God be with Jean and the family at this time. And may Ed RIP. Heaven, should there be such a place, will be like Ed’s office. One was warmly welcomedy by Gayle Hargrove, informed about Ed’s busy schedule, and offered a cup of tea. Ed’s broad smile was always accompanied by probing questions, accounts of recently read books, and a call to attend to recent human tragedies. Whether scheduled or suddenly dropping in, you knew that Ed’s heart was open and already expecting you. With gratitude for Ed’s generous spirit and with continuing love for Jean and their family. Often new friends who hear I went to Wake Forest often scoff, “Oh, the school for privileged kids.” Sure enough, if you drive on campus today, you’ll find see the swank new business school, boutique dining options, and expensive cars in the student lot. However, when I went there, there were at least two towering individuals who had grown up with the school since its early, humble days on the old campus in Wake Forest, N.C., and both of these men committed themselves wholly to student life and invested themselves most particularly in the lives of students of humbler backgrounds. These two gracious and liberal thinkers, both named Ed, lived only a block apart from one another, just off of Faculty Drive, and they both opened up their homes and families to me and to legions of other fortunate students. When I tell people how much I loved Wake Forest, it is largely because of how personally connected I was and will always be to Ed Christman and Ed Wilson. When I arrived on campus for PreSchool the week before Freshman orientation, the first person to greet me was this decrepit old man, hunched down a bit, with squinty eyes, and unnatural confidence for some one in his condition. Within minutes, that impression melted, and I saw Ed Christman, the winsome pied piper who had a flock of followers I soon wanted to join. The theme for Preschool that year was “Roots and Wings”—and it felt very much that he was personally committed to giving us both rootedness in the traditions of our new alma mater and the cognitive and spiritual tools with which to wing our way into the wider world once we had matriculated. He gathered together two more Eds to welcome us into the fold: Ed Wilson and Ed Kilborne, and with poetry and song, prayer and contemplation, star-gazing, cold showers, nasty food, and a memorable talent show, we all together forged meaningful friendships that endure to this very day. Freshman Orientation had yet to begin, and already I was a dyed-in-the-wool Wake Forester, and it is due to the vision and wisdom and love of Ed Christman. The following week, Ed and Jean invited the Poteat Scholars to their home for brunch. That afternoon, we sat informally around a coffee table spread with food, and somehow—I forget what triggered the story—I began telling him about maternal grandfather, who was in his day an important chemist with Union Carbide in Charleston, WV. Ed glommed onto that story and pressed me for more details. I was only 18 and had not yet begun synthesizing family history, but he catalyzed that process. That short conversation haunted me for years afterwards, because he helped me to see that there was a story there that needed to be understood and told. Twenty years later, I have just finished my second book about my grandfather, and I owe that feat in large part to Ed Christman. The conversation we had that day, which has meant so much to me, was for him just another day of listening to, guiding, and communicating with students. He let us know that we were individuals and that we had value, and perhaps the splashiest way he signaled that was in his annual “What’s in a Name” speech, which he delivered by memory to the freshman class and which incorporated many of our last names. Then, each week, he would send out postcards to every student, inviting them to the weekly chapel service, which took place every Thursday at 11 in the small chapel at the back of Wingate Hall. It was the only hour in the week that no classes were scheduled, and he helped us understand how best to use this sacrosanct hour. I never once regretted the time I spent in his good presence and in the company of the good people whom he gathered there. I still have in my box of memories several of the postcards he sent, with hand-written scribbles letting me know that he valued me personally. It is not hard to understand why I became so immediately and lastingly in love with my school community, and it is largely due to the efforts of Ed Christman. At my first Love Feast, I sat starry-eyed in my seat at Wait Chapel. Ed Christman, in his red Christmas bow tie, gave the hominem. He told the story of a young boy with albinism who could see, to borrow Scripture, only “through a glass darkly,” and yet whose inner eye could pierce through and see the essence of things better than those around him with perfect ocular vision. Ed Christman understood the healing power of laughter, the sacredness of Wake Forest basketball, and the need to vent about all the “cotton-pickin’” nonsense in the world. Five days before my graduation from Wake Forest, I was in a car wreck that could easily have claimed my life. I had left a medical appointment in which my blood was drawn, and I passed out at the wheel on my way home, on a four-lane highway in my hometown of Asheville. When he heard about this story, Ed Christman let me know that I survived for a reason. He was so visibly shaken and moved by the story that I believed him that there was something in this life I was put here to accomplish. Through Preschool, the Poteat Scholarship program, Baptist Student Union, chapel, and his Sunday School class, I got to know the Christmans intimately. My friends who went to NCSU or UNC find it hard to name a campus leader who knew them by name, and so I know I was lucky to have been at Wake Forest, and to have been there in some of the last years of Ed Christman’s tenure as chaplain and sage and clown. Needless to say, when it came time for me to marry, I knew that I needed the blessing, presence, and participation of two individuals: Ed Christman and Ed Wilson. They drove together down I-40 that Saturday in July, and when a multi-car pile-up stopped traffic that day, and when we found out they were going to be late, my father told the wedding guests to please be patient as the pre-wedding music played into the scheduled start time, because he was pretty sure his daughter wouldn’t walk down the aisle until the Eds were there. He was right. When Patrick and I had our son Dylan, we waited six weeks to leave our hometown, and when we did, we took our baby straight to Winston-Salem to meet Ed Wilson and Ed Christman. The Christmans had recently moved into Salemtowne, and they were so excited to meet Dylan. While Jean cooed, Ed consecrated our new family. He has given me so many gifts to carry with me now that he has gone, and his voice lives so powerfully inside my head. I am selfish, though, because I really just want him back among us. What a great man. When I came to Wake in September 1965 and attended the pre-school retreat, Ed was one of the first I met. He had an infectious sense of humor. He taught me to play bridge. What a great Christmas gift to “graduate” on Christmas Eve. We know that we will have the opportunity to fellowship again. Wake has lost her namesake. Prayers to the family. Ed Christman changed my life. I was a Junior when Ed sat in my Kappa Alpha dorm room and said, “BSU needs you. Campus politics can wait.” I was President of my Freshman Class and I was smitten from then on. Something in Ed’s voice and prayer grabbed me. I became deeply involved in WFU BSU. Later that year I was elected President of the North Carolina BSU. I graduated from Wake in 1958, went on to Southern Baptist Theological Seminary to earn my Doctorate, served as a pastor for 14 years, and then served as a denominational leader raising funds for Home and Foreign Missionaries for 30 years. I retired in 2000. Ed Christman’s memory and words have lived with me for the past 57 years. Thank you, Ed, for changing one more student’s life for the Kingdom. I will never forget you. Enjoy the Kingdom. Ed “Christ-man” is a WFU legend. In our mind’s eye his portrait hangs among the University’s greatest. Long after the white hair, contagious laugh, and unbounded enthusiasm have faded his influence will continue to radiate. The many wonderful words in this guestbook attest to that. He first crossed my path in a casual way during a BSU function at NC State in 1955. That image of boundless energy and white hair stuck with me until it was re-kindled in the early 90’s as my wife, Susan ’62, became deeply involved with the WF Birthplace Society. Ed loved the old campus and was a source of needed encouragement as Susan struggled to garner support for the museum in old W.F. His calls were always for, “Sister Brinkley” but never without a disarming question, story, or comment for me. Here is an NC State guy who came to love Ed and Jean just as do all you WF folks. While Ed deserves the accolades, Jean has been his rock, his right arm, and yes, his eyes. I strongly suspect that she and Ed would have us attend the memorial service filled with laughter, joy, and probably a few jokes! Ed was one of the first people that welcomed me to Wake Forest. As a freshman I attended the Retreat prior to starting my freshman year. It was a great place for me to make friends and begin my journey at Wake Forest. I was a day student when I first started so this was very important to me. I became active in BSU and Ed was always there to welcome me and make me feel at home. After graduation I had the opportunity to participate in Wake Forest Theatre on the Main Stage now named for Dr. Harold Tedford. I was in Guys and Dolls directed by James Dodding of England. Ed was in that play and so was Kim his daughter. She taught me how to tap dance. It was another great experience of community at Wake Forest. I will miss Dr. Christman. His aura and spiritual peace and calm presence was amazing and I felt it just by being in his physical proximity, and in the way he sent through his words and Christian essence. I know his work will continue where he is. Condolences to his family, friends and the world. He was a good man and I am the better for having met him. Even in Africa, the memory of Ed Christman’s warm welcome of us as transfer students Wake Forest’s first year in in Winston-Salem burns bright. Thinking of the school without his presence will not be easy. Ed Christman was a mentor in ministry to me, and was always an encourager. During my undergrad years (81-85) and grad school years (90-92), his wise counsel and sense of humor gave me much needed perspective. He was the best listener I have ever encountered, and the lessons of grace he lived continue to teach me much in my service as a hospital chaplain. I shall always treasure the confidence he showed in me when he invited me to speak in chapel during my senior year. I will cherish the memory of his role as Noah in the Passion Play, and his joy in playing the role of a sailor in a Gilbert and Sullivan operetta. Thank you, Dr. Christman for showing me one who truly lived his name. Ed was one of my closest friends when I was at WF(48-52) and we remained in touch during the fifties and sixties. Although we have not seen each other for many years he still ranks as one of the finest individuals I have ever known. His qualities of humility, compassion, and integrity have set high standards for all of us to emulate. May Jean and family rest assured that he will not soon be forgotten. Like multitudes of Wake Forest students, I was fortunate enough to be in the company of Ed Christman at a time in my life when guidance, anchoring, sanity, and humor were just what I needed. He was extremely intelligent and wise in an era when wisdom was not universally evident. He was able to expand our horizons and broaden our vision without sacrificing our faith or intellect. In the late 60’s, when I was a Wake Forest student, that was a true gift. Now that Ed is not hindered by an earthly body, I know we will all feel his presence again whenever we remember his quiet, thoughtful smile in the midst of rancorous voices. Rest in peace, Ed Christman. I feel better, just thinking and remembering you. I remember being a little afraid of Ed at first. He would stare at you with that penetrating gaze, and it was as though he could see to the very core of your soul. I got over that, of course, when I experienced the warmth of his compassion and concern and began to see how deeply he cared for the students and how important we were to him. He had an amazing ability to recall names and individual stories. He is so much a part of the fabric of Wake Forest that it is difficult to imagine the university without him. Rest well, dear Ed. I had the wonder-full pleasure of knowing and working with Ed in the first Passion Play, HMS Pinafore, and Guys and Dolls. He was such a humble artist/man and always radiated joy to everyone around him. I will never forget his “re-birth” as Lazarus in the Passion Play, with an intake of air that not only filled his body with life, but the whole theatre as well. I would stand in the wings during rehearsal and each performance to hear him. Thank you, Ed, for the ever-living memory. And thank You, God, for blessing us through Your servant Ed. Although there have been others before and since, there were three “giants” of Wake Forest during my time there. They were President Tribble, Dean and later Provost Ed Wilson, and BSU Director and later Chaplain Ed Christman. I’ll never forget the orientation that Ed was in charge of through the BSU. With thick white hair and distinctive eyesight, I originally thought Ed wouldn’t have much to offer. Boy, was I wrong! He was a quintessential minister and Wake Forester. I soon listened carefully to every word he said; he had so much wisdom and understanding of people. He led in the fight to integrate the campus, and I’m pleased that I had a small part (thanks to Ed) in that effort. I last saw him and Jean at a reunion and program on campus of all those students involved in the sit-ins in Greensboro and the subsequent integration effort at WF. Ed Christman has had a lasting influence on me and on many students during the past 60 years. Thank you, Ed! A giant among us. Fraternity brother in Lambda Chi Alpha. Married Jean Sholar, a neighbor down the street in Hopkinsville, KY. Always an inspiration. Rest in Peace, Life well served. Just a few days ago I was thinking about him, remembering back to one of the Love Feast services that I cherished so dearly. He never met a stranger and was delightfully witty at the most unexpected times. I am so thankful to have met him and shared his company during my time studying Religion. At this difficult time for his family I pray that God watch over them and give them comfort. His joyous spirit will live on in our hearts forever. He was truly a blessing. As a 1957 graduate of Wake Forest, I have many fond memories of Ed Christman walking down the paths of “old WAke Forest ” with his ever present smile and kind greeting to all who passed his way. I had the distinct blessing of seeing him by chance a year ago at Salemtowne. He still greeted me as if he remembered me. Ed is one of those few people who made his mark on my life. It was Saturday, August 23, 1975, during freshman orientation. My friend Melinda and I were going through Wingate Hall, trying to find WFBC’s Music Minister, as she had a work/study job singing in the choir. Wingate was empty, save for one tall and lanky gentleman with longish, very white hair. He introduced himself as Ed Christman and told us he was the University Chaplain. He told Melinda she would be better off calling the MoM on Monday but then invited us into his office. We walked in and I stared for some time at the large portrait of Martin Luther King, jr., on the wall behind Chaplain Ed’s desk. We talked for nearly an hour about Wake Forest, campus life, faith, and just about everything else that came to mind. A lot of freshman angst melted away that day. As freshman year progressed, Chaplain Ed became more than a Chaplain. He became a tie to Wake Forest who made me feel as much a part of it as any third-generation legacy. During parents weekend, he walked up to my parents on the Quad, introduced himself, and immediately asked, “How are things in West Virginia?” He always spoke and was always there when needed, for all four years. He help shepherd a confused Presbyterian on his faith journey in ways both subtle and obvious. I can think of no one so perfectly suited for his job than Ed Christman. But that’s because it wasn’t a job. It was a ministry. A calling. A labor of love. When I think of Wake Forest, a handful of names come immediately to mind. Names of people who embody everything I think or feel about her: Ralph Scales, Ed Wison, Robert Dyer, Robert Brehme, and, of course (maybe especially), Ed Christman. We can never know what Wake Forest would be like if there hadn’t been an Ed Christman, but I do know it would be different, and most likely not better. Rest in peace, Chaplain Ed. Thank you for all you were, all you did, and all you mean. And thank You, Father, for sharing him with us for these eighty-five years and for blessing us with his life and ministry. We commend his spirit to You. I met Ed, as so many others did, at the pre-orientation retreat. It began a lifelong friendship that lasted until I retired from the Law School in 2004. I knew Ed as a student and a colleague. No one embodied the true spirit of Christianity any more than Ed did. We spent many afternoons discussing, not just law but justice. Ed was very concerned that the law school not forget that we should aspire our students to do justice, not just practice law. We have lost a giant of man, may he rest in peace. The earth is a little less bright today without Ed. He lived the gift of encouragement…no matter who you were, what you believed or did not believe, no matter where your life or choices had taken you, he affirmed that you were, indeed, a child of God, and so an object of God’s intimate and personal concern. His encouragement was key to finding both my ministry and our marriage. And, without the good pastor’s leadership, the Catholic Student Association at Wake Forest would never have been established. He lives on in the many, many lives he nurtured into more abundant lives of love and grace. Godspeed, Ed…may the many memories bring comfort to Jean and your family. A truly good man has passed, leaving his mark of kindness and friendship upon so many. While we mourn today, we will always remember Ed with thanks and with smiles. That is a legacy to which we can aspire. A very good man has passed, leaving his mark of kindness and friendship to so many. While we can never stip mourning his passing and our loss, we will soon remember him with thanks and with a smile. That is truly a fine legacy to which we cal all aspire. We have lost one of the best. Shortly after I started my freshman year at Wake, my father passed away unexpectedly. Ed was always there with a supporting word. His real world approach to life was what always struck home. He made you think. Ed was not only the perfect example of what a university chaplain should be, but of what every person should strive to be in their life as well. I can only add the word Amen to the eloquent remembrances expressed above. Brother Ed lives on in my heart. I knew Ed almost my entire life…but i knew hm best in the 60’s at Wake Forest. t pre school retreats, talks in his office, at weddings, Ed was simply as good a friend as anyone could have. A visit wo Wake Forest is not possible, then or even now, without thinking of Ed. It is tough to realize he is gone, but as someone else wrote, he is probably reading this just now. God only knows if you can read this, but I hope so. I want to thank you for saving me one night. One evening, toward the end of my first semester at Wake, I got news of the killing of an uncle who had profoundly inspired me. I spent most of the night wandering aimlessly through the campus fields and woods, mentally and spiritually lost. When I happened upon your door around 3 or 4 in the morning, you woke up and took me in with no questions asked. It was a while before I could speak about it, and you let me stay on your couch for two nights. You helped me realize that I needed to go home for some time, which I did for a week, and that I could take a few incompletes in order to stay in school. As a university professor for the past 25 years, I have come across many students who have entered my office with an expression of desperation, and I have always kept in my heart and mind your example of compassion, understanding, comfort, and reassurance as a model to live up to. You may have left us physically, but you live in a great many of us forever. Even during my years at Wake Forest College in the early 1950s, Ed Christman was a standard for Pro Humanitate. His presence will be missed, but what he has meant to so many cannot be forgotten. Go in Peace, faithful servant. Chaplain Christman so exemplified the spirit of friendship, kindness, engagement, respect, and gentle faith that is the core of Wake Forest. I very distinctly remember him greeting me as a 17-year old long-haired freshman at Wake in 1975, and then knowing my name and being so interested in how I was doing every single time I saw him on campus and when I returned to visit. Rest in peace, Ed Christman. Ed’s kindness, intentionality, and intellectual and spiritual depth reminded me of our calling to love both God and people with every aspect of our lives — heart, mind, soul, and strength. Ed had a profound impact on me as a young freshman at Wake. He taught me not to judge others by their appearances and to value everyone as a human being. His lessons have remained with me since then. Mr. Christman was my freshman advisor and made an immediate impact on me when I came to Wake Forest. His calm presence and the clear direction he provided is something I will always remember. He didn’t always tell you what you wanted to hear or even give you the answer to a problem, but he had the ability to guide you down the right path. He inspired you to make the right choices and to stretch your talents. We have lost a great leader and a man who has touched so many lives. I am blessed to have known him and gained from his wisdom and insight. I first met you, Brother Ed, in the Spring semester of 1978, when I was a freshman and an Associate Member of Lambda Chi Alpha. It was during my initiation into the fraternity in the wee hours of the morning. I had just screwed up and ruined the fraternity, and I remember you getting in my face and saying, “Hey, Tex, do I have to draw you a #!%#@ roadmap?” I thought I was going to be run out of town! Quickly though, the lessons of forgiveness and understanding that you and the fraternity represented became evident. We weren’t the best behaved group of young men at Wake, but you embraced us, protected us, mentored us, and helped to shape us into the responsible, successful and loving bunch that we are today. Your presence in my life will remain. My daughter, Hannah Maness (’18), and I never had the honor of meeting Chaplain Emeritus Ed Christman. 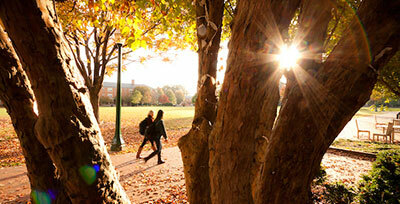 However, we have been blessed by the fruits of his labor of love to Wake Forest University. The legacy he left as ‘chaplain to all’ along with his respect and commitment to the spiritual heritage of the university has impacted and will continue to impact generations of students. Hannah was selected this year as one of the recipients of the Poteat scholarship. The Wake Forest Ministerial Council established the William Louis Poteat Scholarship for North Carolina Baptist students in honor of Christman and his wife, Jean, in 1998. Praise God for the faithfulness of this servant of Christ. The one. The only. Rest in peace, brother Ed. I had the good fortune of getting to know this remarkable man and his wife Jean a little better through going to school for awhile with his wonderful daughter Kim. Just a little time with her parents made it clear where she got her deep rich talented spirit. I will remember most her Dad’s delightful sense of humor and his pride in her. Ed Christman started on the road of my journey in ministry. I owe everything to him, as he and I spent hours talking about my spiritual walk and the decisions I would make for the future. Since I majored in music and religion, both of which had classes in the back portion of Wait Chapel where his office was located, I was able to take breaks in his office throughout the day, where he and I would about everything under the sun. So many times, Ed and his wife Jean treated me to meals in their home, especially after they moved from the faculty apartments to a house. I enjoyed time spent with Carolyn and Kim and Jean as well. I treasure every memory I have of him and am so grateful for the wisdom and friendship he poured on me in those college years. Ed Christman, the mark you made in my life, in the lives of so many other students, and in the world of Wake Forest University is indelible. Ed Christman taught me to always be curious and to ask questions because God has given us an opportunity to understand his grace and mercy. He really made a difference in the Wake Forest community and he embodied the Pro Humanitate Spirit. May he always be watching us from above. Ed Christman was one of the finest human beings I have ever met. When my daughter Amanda, Class of 1997, was diagnosed with leukemia, he called our family weekly with words of encouragement. He comforted all her Wake friends when she died and officiated at her Memorial Service in Wait Chapel. Ed embodied what it means to be a good Christian and his grace continues on in the lives of many. To my surprise, Ed was one of the biggest supporters when we founded Hillel on campus. He taught me to look beyond my own prejudices and see common ground. I was honored to call him a friend. I first met Brother Ed fifty years ago when I was a freshman. We were at Camp Hanes for the pre-school retreat. He was both an encourager and a challenger to me over my four years at Wake. Ten years after graduation, I made the decision to go to seminary on the ‘old campus’ in the town of Wake Forest. To do so I needed the commendation of a Southern Baptist minister. Since I had grown up in West Virginia as an American Baptist I did not know any. Then I remembered Ed. I called and asked if he remembered me and then for him to write the letter of recommendation for me. After a moment of silence, he said, ‘Yes Mike, I remember you, but all I can recall is your time at the Lambda Chi house. (Ed was our faculty advisor.) So maybe you should write me a letter telling me what God has done in your life these last ten years, and then perhaps I can write a letter for you.’ He and I have laughed over that exchange for more than thirty years. Let it be said of Brother Ed: ‘He was a man of unyielding integrity, expansive faith and one who had time for everyone.’ Thanks be to God for the life and times of Ed Christman. Ed was a wonderful man. Patient, kind, humorous, and full of gentle wisdom. He helped me spiritually even several years after I graduated. I still cherish those conversations. I met Brother Ed four years ago during my freshman year at Wake, during dinner time at BSU’s weekly Horizons meeting. I feel truly honored to have known him for all of my four years at my home away from home, because he is somewhat of a legendary figure at Wake Forest. He would always shake his finger at me when I told him I was a senior and had yet to visit the old Wake Forest campus in Wake Forest, NC, and to this day I have yet to go. But Brother Ed, I promise I will! It brings me joy to know that you will be spending Christmas morning with Jesus this year. Ed was, quite simply, the best of men. Sometimes words do not suffice to describe the person we knew, respected, and loved. Nothing made my day more than seeing Brother Ed walking toward me on the quad and hearing his greeting of, “Hello, Sister!” He knew how to make you feel special, because when you were with him, he gave you his fullest attention, always with that Ed Christman twinkle in his eye. Ed not only helped me to lose my suspicion of religion but introduced me to the many meanings of faith through words and acts that I could hear and come to love. When I think of him, I am filled with so many feelings: gratitude, great fondness, delight, and deep respect and appreciation. His courage and integrity have inspired me many times. Though I have been away from Wake Forest for some time now, I always feel that Ed is with me, as of course he will be in our hearts forever. To Jean, Carolyn, and Kim, know that we are holding you close and join you as you are surely already missing him. And to Brother Ed – thank you for the exquisite pleasure of getting to share some time on this earth with you. You brought meaning and wonder to my life, and I am so grateful for knowing you! Ed Christman was a giant in my family’s life from 1955 on. It is hard to imagine him not being here physically beside Jean. The six of us visited Jean and Ed in NY, when we were heading overseas in 1959. We all had Chinese take-out in a typically sized New York City apartment! A first for the three of us boys. He was our minister when my wife and I married on December 23rd, also his and Jean’s anniversary day. We exchanged Christmas cards every year, always counting the years we had been married so they would know: 43 as of yesterday. Ed and Jean sat with my father as his body was dying, yet his mind- brilliant, focused and sharp with humor. It was a good afternoon for them all. Ed preached at my father’s funeral, and then nine years later, both he and Mac Bryan preached at my mother’s funeral. Pen and Catherine loved and respected Ed and how he lived his life. Ed Christman was really our family’s minister and my parents friend, throughout those years….the 50’s, 60’s, 70’s, ’80’s and on. He helped you as a Brother in triumph and tragedy. May God bless him and comfort Jean, Carolyn and Kimberly. I’ve learned that we’re in this world to celebrate the God who dwells within us and one another. Although Ed never uttered those words to me, he lived them every day–and will continue to do so in the lives of all of us touched by this humble, humorous, loving, lovable saint. Take care, Jean. We know your equal, quiet role in this team of life-changers, and are blessed by it. Heartfelt blessings to the girls as well. Ed was a dear mentor, friend, support, guide, spiritual father, and adviser. I would not have gotten through my time at Wake Forest had he not been there for me. He had a gentle spirit and a powerful testimony. May he rest in paradise in the loving arms of our Lord and Savior. Until we meet again. I wish I could re-quote myself but the feeling lasted until the end. My other memory is of the night I decided to baptize our children while Cindy was out of town. She wasn’t really opposed to the idea but she was out of town and so young Sage and John said “Dad, have we been baptized?” I said “No, but I can do it right now.” They were game, so I took a glass of water, put it on the mantelpiece, and baptized them both in the best way I could think of. Prayers and condolences to the family, friends, and loved ones of Ed Christman. He is a kind hearted and spirited man, as well as an unbelievably consistent good steward to all he is able to engage with. Again, his kindness, sincerity, and kind spirit will be missed physically, but will be ever-present based on the many people he touched within and beyond the Wake Foresr community. A few quick stories about Ed: He once told me that he confronted someone making racist comments by saying “Since I’m the whitest man you’ll ever meet, don’t you think you should pay more attention to what I’m saying?”. He also claimed to be the founding member of the ABC’s – the Albino Booster Club. He took time to meet with me several times as I struggled to shift into college life. His support and affirmation were a huge help to me. Thanks and blessings to you, brother Ed. -In my time you embodied to us youngsters an example of wisdom, love, inquisitiveness, and patience. Your positive aura provided us a spiritual guidance and exhibited the manner in which we all should engage one another. Your personality attributes defined the motto – Pro Humanitate – of the very university you served. 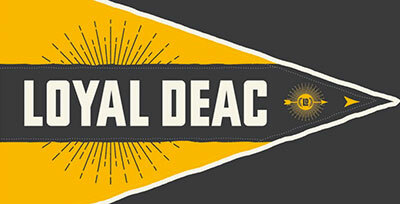 One might even say that your physical attributes uncannily resembled that of the university’s mascot – the Deacon. Your addition to the Wake Forest community and to the thousands of lives you positively affected is immeasurable. And how fitting it is that you, Christman, the most aptly named individual I have met, transcend the physical to go home to meet the Maker at Christmastime. Well done, sir. Thanks for the timeless lessons, spoken and unspoken. Ed was my favorite person from my years at Wake Forest. From him throwing snowballs at me on the quad to telling anti-Carolina jokes, he was so funny. And the name speech will forever live on. He was an incredible human being and the world is a sadder place without him. Wendy Class of ’92. I first met Ed at Freshman Orientation up at Camp Hanes in 1976. One night we sat on the porch waiting for the dinner bell and it was reported that the broccoli was not yet done. Ed made some crack about waiting on the broccoli and thereafter, every time I saw him I would yell, “Hey Ed, is the broccoli done yet?” It became a running joke and I was known as “The Broccoli Kid” forevermore. Recently I ran into him at Mama Zoe’s, a local restaurant. I walked up and said “Ed, do you remember The Broccoli Kid?” He thought a moment and then it came back to him after all these years. Glad I got to see him again. My condolences to the family. He was a great man and will be missed by all. Blessings and peace. We are called to be disciples of Christ on earth, but I know of no human being who has better embodied that Commission from the Lord than University Chaplain and Wake Forest Alumnus Edgar D. Christman. Few human beings were more aptly named, yet Chaplain Christman was not some pious do-gooder, or self-righteous preacher. He was a man in full — a prankster in his younger (and older) days, filled with humor and empathy…which led him to an incredible understanding of the human heart and mind in all their goodness and darkness. He lived a life of outreach and letters despite visual limitations that would have broken or embittered many. Ed Christman loved God by loving other human beings, by approaching everyone he met “where they were” in life instead of where he or some others’ expectation might “want them to be,” and by demonstrating in deeds and his words — over and over again, for generations of Wake Forest students, faculty, parents and friends — that Grace and Love that surpasses all understanding. He was the voice on the phone for me assuring me all the support that would be possible for an incoming freshman whose father lay comatose. And he was the deliverer of news that no child of a beloved parent ever wants to hear. He was in large part the reason I consider my years at Wake Forest great ones, and formative in ways that move well beyond academics. And his friendship, wise counsel, and ways of forthrightly exploring tough theological issues that still left one more confident in one’s faith are, fortunately, unforgettable. God bless the soul of Chaplain Christman — perhaps somehow appropriately brought back Home on the eve on which we celebrate Christ’s birth — and God bless his family. Ed Christman was a beautiful man. James Dodding says that each time he returned to Wake Forest he asked Ed how was the sin at WFU. Ed would always reply “Flourishing, brother, flourishing.” His sense of humor and steadfast spirit was inspirational. So many great memories, laughs, touching moments with Chaplain Christman. He will be dearly missed. He leaves a lot behind to be remembered! My first memory is living in the building next to him in the Wake Forest faculty apartments about 45 years ago and how wonderful he was to the children. What a wonderful person he was. The family is in my thoughts and prayers as you go through the process of mourning. He now has gone to his Maker for his Heavenly reward. Wake Forest has lost another great and wonderful friend. Ed was a great neighbor and close friend for 57 years. Our children grew up together and Ed sat with me at the hospital when my daughter Carolyn was born. Anne Mercer and I attended and benefited greatly from Ed’s Sunday School class. Always understated and yet a giant in Wake’s community and communal life. History will treat you with equal kindness to the grace you shared with our campus. A life worth living and lovely shared. Ed Christman was a legend at Wake Forest. His Orientation speech – where he named the names of so many people in each year’s freshman class – was nothing short of extraordinary. He stood as one of the great men of Wake Forest – alongside other great men like Ed Wilson and Bill Starling. He was kind to all and represented the very best in the Pro Humanitate spirit. He and his beloved wife Jean would surprise us in the office sometimes, bearing gifts of outstanding homemade fudge and always with his wonderful smile. My prayers go to Jean and their children. Brother Ed, you will be missed. I feel very fortunate to have had the opportunity to work closely with Brother Ed for almost 20 years in the Division of Student Life. Having that intimate a relationship afforded me the opportunity to see The Man in every aspect of his life, both personal, official and spiritual. My sincerest condolences to you and the family on the occasion of Ed’s passing. We all are very confident that he is in his Heavenly Home, for he has truly earned that privilege. I will most assuredly be at the service on December 30th. Our conscience, our inspiration, our friend, our guide: Ed was one of the bravest persons I’ve ever known. He was ever the embodiment of Emerson: “Beware when the great God lets loose a thinker on this planet.” He made us think, but so gently did he wrap us in his care.